Table numbers can be underrated, serving as a purely functional aspect of the day, but don’t overlook them! They can be such a integral part of your decor, and a fun way to take away from what could be very boring! 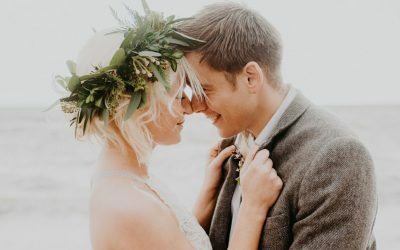 I’ve put together three mood boards to show how you can incorporate fun table numbers in to your wedding day decor, without having to do too much! The first shows different table numbers in their words. I am a huge sucker for calligraphy in case you hadn’t already realised! 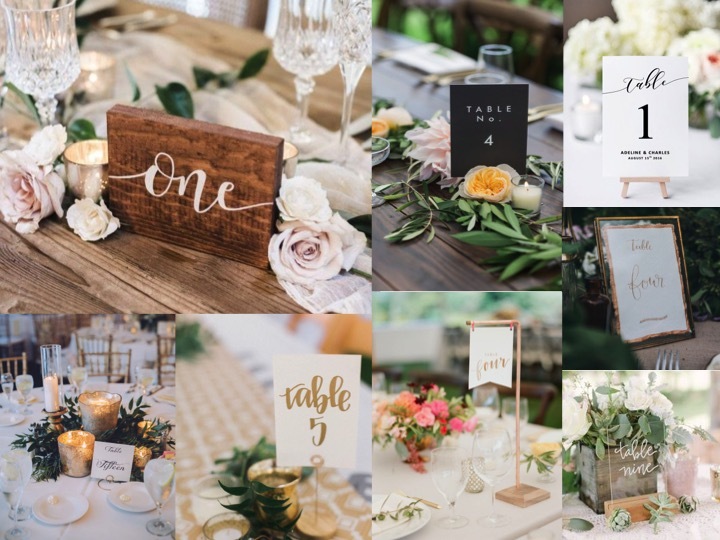 There are so many ways of presenting your table numbers in words, you can use wood, acrylic, signs, or those adorable little hanging signs (bottom second from right) but in any way, they can tie your decor together, whether you want elegant or classic, rustic or romantic, you can use your table numbers to bring it all together. 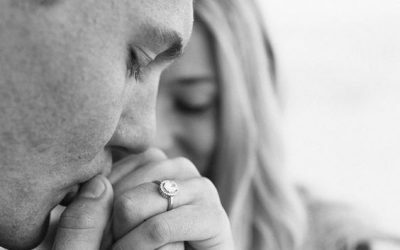 The second is something a little different. 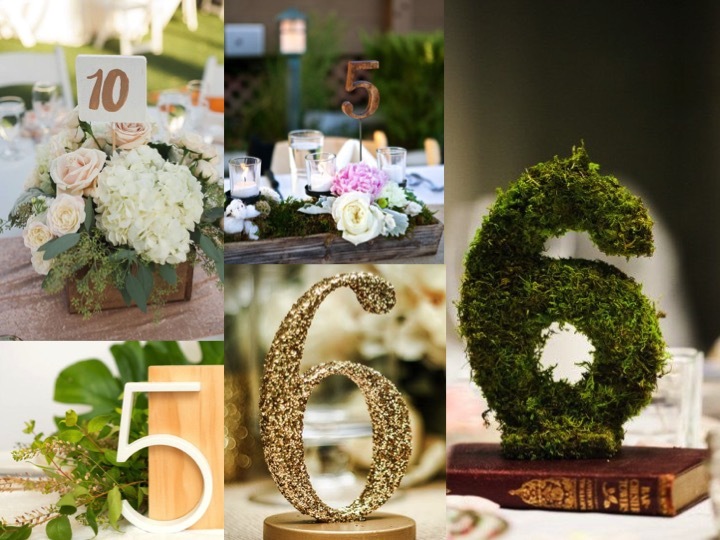 There are so many objects you can use for table numbers that I struggled to pick which ones! 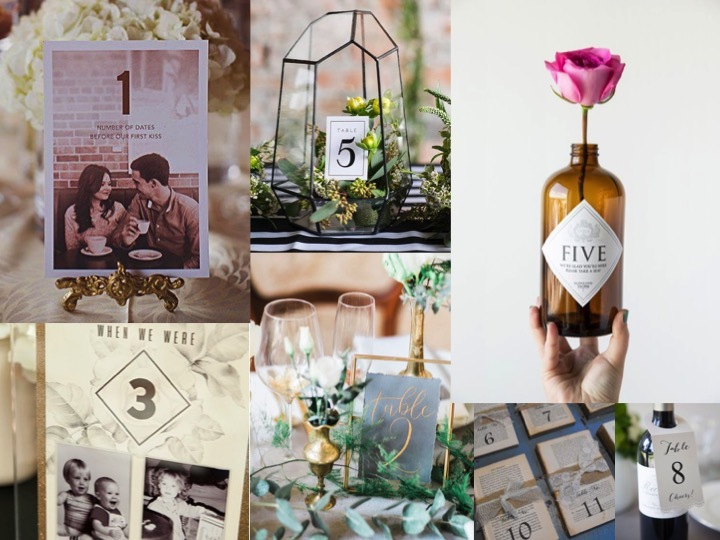 I have to say that one of my favourite is the top left, you can pick moments for each table number, which is a fun way to share little parts of your story with your guests! Or you can use bottles, books, picture frames, the list goes on! Again, you can use these to tie your decor together, and they can all be done really easily and at not too much expense! The final one is using different textures and ways of presenting the table numbers just as they are, the number! Using moss, wood, glitter etc. means that you can continue the theme of your wedding decor with your table numbers, in a fun and easy way. I have to say that my favourite is moss, I love greenery but I also love that you don’t need to do much too the rest of the table decor, and they make for a good talking point! If you have any questions, feel free to get in touch, or if you want to know how to do any of these, I’d be happy to help. There are so many more ways you can do your table numbers so let me know if you need some help!